There are many species of dogwood trees, but the name has nothing to do with dogs; apparently it comes from an ancient word ‘dag’, which means tool. The finely grained wood of dogwood trees is very hard and can be used for things like golf clubs, tool handles, roller skates and knitting needles. 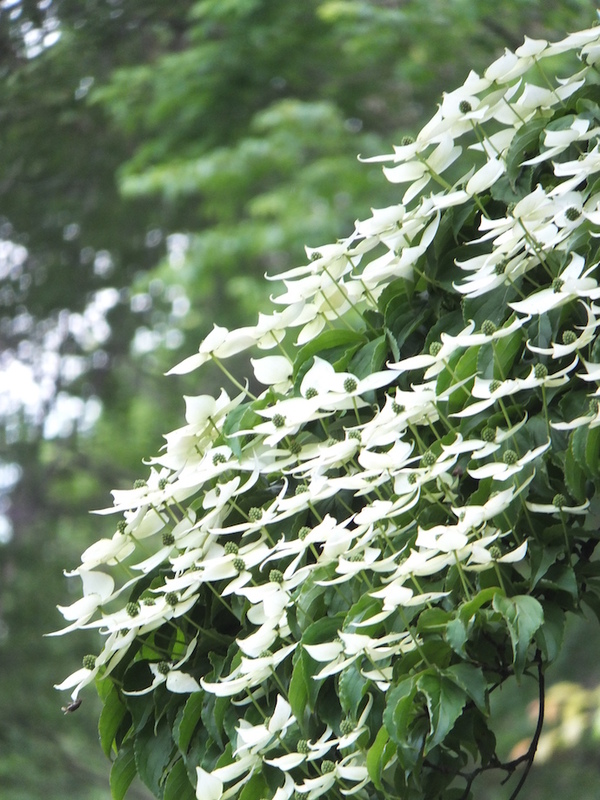 This tree has lots of creamy white flowers, which are actually composed of four spreading bracts, a kind of leaf. The actual flowers are tiny and clustered in the centre of the pretty bracts. 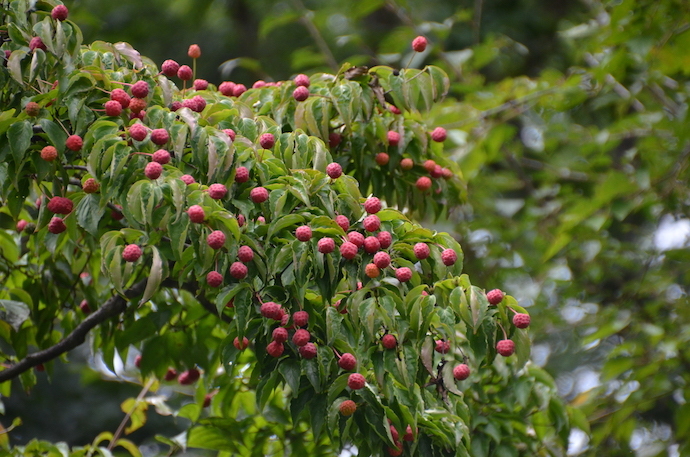 It is widely planted as an ornamental tree in America because of its beauty and because it is resistant to a fungal disease that kills off native American dogwoods. We have these trees growing wild in our Afan woods, but I have also planted some, including one rather fine tree that grows just outside my front door. 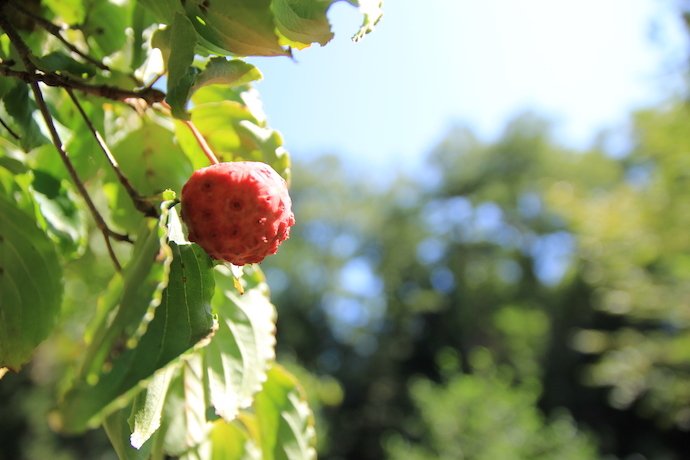 The tree produced soft red dimpled fruit that look a bit like strawberries. The fruit is edible, slightly sweet and very rich in Vitamin C. They are a great favorite for birds. Both abroad and in Asia, the bark was widely used to brew a medicinal tea, used for pain, fevers and all kinds of ailments. It was also used in America as a poultice for wounds. The strawberry dogwood grows to a height of about 8 metres, so it is easily managed as a street or garden tree. Our ‘mizuki’ are another kind of ‘dogwood’ in English. They have clusters of tiny, fragrant white flowers that produce small berries, also favoured by the birds, and if they drop from the tree the tanuki (raccoon dogs) will eat them, and therefor spread the seeds.